Uglyworld #318 - The Final Drop, originally uploaded by www.bazpics.com. 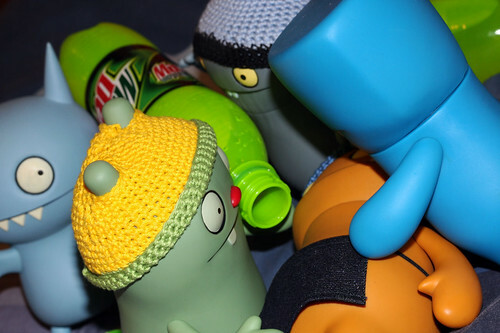 As the second bottle of Mountain Dew was nearing the end of it's contents Wage stopped moving and lay perfectly still which made pouring the final drops into his mouth easy, so Jeero, Babo and Wedgehead could already ease off on holding him down. Ice-Bat asked Babo if he thinked it worked to which Babo replied, "It's now a waiting game, lets get him back into bed".